Jugra hill located in Jugra, Kuala Langat, Selangor has its own unique character. 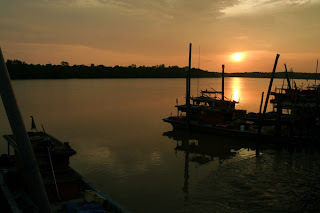 Jugra is a city that overlooks the Straits of Malacca and is close to Sungai Langat. The closest city is the City Jugra Banting with a distance of about 20 miles. Historically, during the reign of Sultan Abdul Samad, who ruled the state from 1859 to 1898, Hill has become a habitation Jugra Sultan of Selangor at that time. 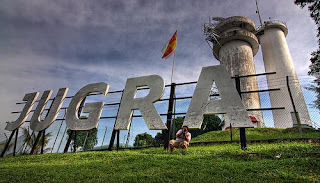 Among the tourist attractions in Bukit Jugra so far apart Selangor royal family tomb is known as the lighthouse Lighthouse Hill Jugra. 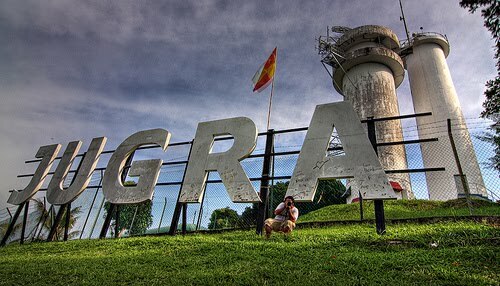 Lighthouse Hill Jugra 146 meters tall was built in 1976 and administered by the Department of Maritime Malaysia. Functions of the Malaysian Maritime Department are enforcing the law and order under any federal law in the Malaysian Maritime Zone. In addition, the department conducted air and coastal surveillance and control and prevention of maritime pollution in the seas. Function once the lighthouse is to allow the browser to the merchant or the entrance into the harbor, especially at night. However, the lighthouse is no longer used and was used as the material of history for present and future generations. As well as the history of its own, Jugra Hill has always been a focal point for viewing and Lighthouse Hill Jugra knows you better. Stately lighthouse provides a thousand and one advantages to the visitors, especially to fans of history. Bukit Jugra other history lovers choice Jugra Hill Lighthouse, also held the air skating activities involving the participation of eight members of the Recreation Club Utusan Malaysia (Krum) Air Skating Association of Malaysia (Plum) on 19 and 20 June 2010 ago. Flying high in the air above the height of Lighthouse Hill Jugra 146 meters tall enough to give valuable experience of the participants, as well as to enjoy the view against the backdrop of the Straits of Malacca that were so beautiful. Kuala Selangor is an example of a peaceful yet well-informed countryside, where fishing and agriculture are their main source of income.Some of the views over here are simply awesome, i.e the Bukit Melawati and the Kg Nelayan just after the brigde from downtown K. Selangor.I was there last week, just for the 2nd time in my whole life, and I want to go there again to uncover the beauty of the countryside, definitely! !